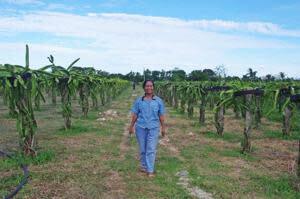 PASUQUIN, Ilocos Norte—A woman born with cerebral palsy became her family's main inspiration, motivating her siblings to become medical professionals, and prompting their mother to embark on a ground-breaking dragon fruit farm that has become a model plantation emulated throughout the country. "At first, I could hardly accept it but I just thought she's God's gift," said Edita Dacuycuy, referring to her daughter Merodith, nicknamed Kaye. "She's so dear and special to us." 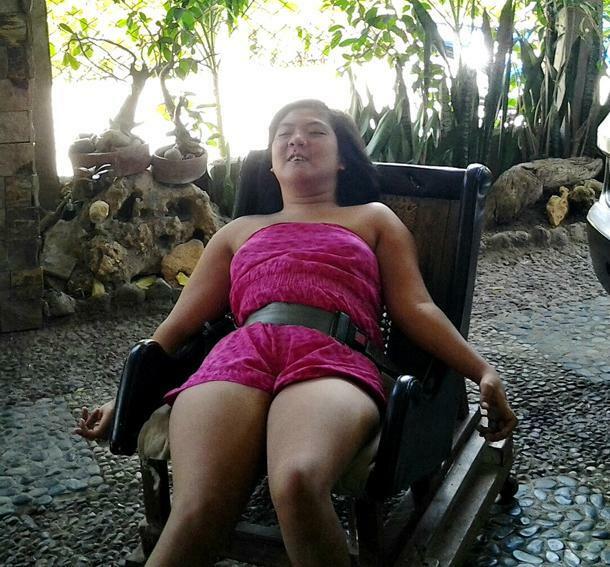 The youngest of four siblings, 33-year-old Kaye was born with quadriplegic cerebral palsy, a physical disability caused by injury to the developing brain, usually before birth. In addition to their motor disability, people with cerebral palsy may have other associated impairments including epilepsy, and disorders of speech, vision, hearing or intellect. Meg Dacuycuy-Valdez, Kaye's eldest sister, told VERA Files that the whole family used to stay up all night and cry each time Kaye had seizures. "But through the years, we learned about her moods, and when her seizures occur. Her regular therapy was a big help." Meg said her youngest sister's condition inspired her to pursue a degree in Physical Therapy to help relieve Kaye's pain every time she had seizures. Meg is now based in San Jose, California with her husband and two children. But the family's biggest success, thanks to Kaye, is its sprawling 10-hectare dragon fruit farm in nearby Burgos town which Edita nourished mainly to help Kaye. 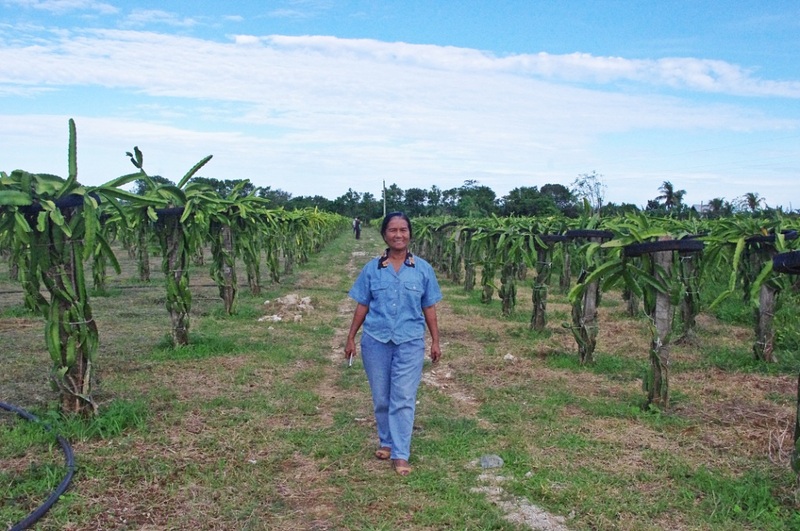 Edita started planting 20 saplings of dragon fruit in 2005 when her family discovered it was the best remedy for Kaye, who needed to regularly consume high-fibre fruits such as papaya to cure the constipation that her condition caused. But aside from papaya, her family found that dragon fruit worked best in relaxing her contracting muscles. "We just wanted to grow the cactus plant for our daughter and when we knew about its health benefits, we wanted to grow more and more and share it with others," Edita said. The 20 saplings soon turned into the Dacuycuy family's dragon fruit plantation in Barangay Paayas, Burgos town that now also houses a resort, restaurant, bar and a fish farm that attracts tourists, farm enthusiasts and even movie makers and businessmen. 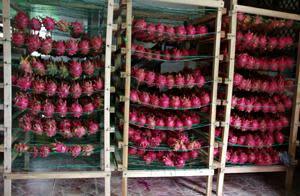 The farm is the first science and technology based dragon fruit farm in Burgos. 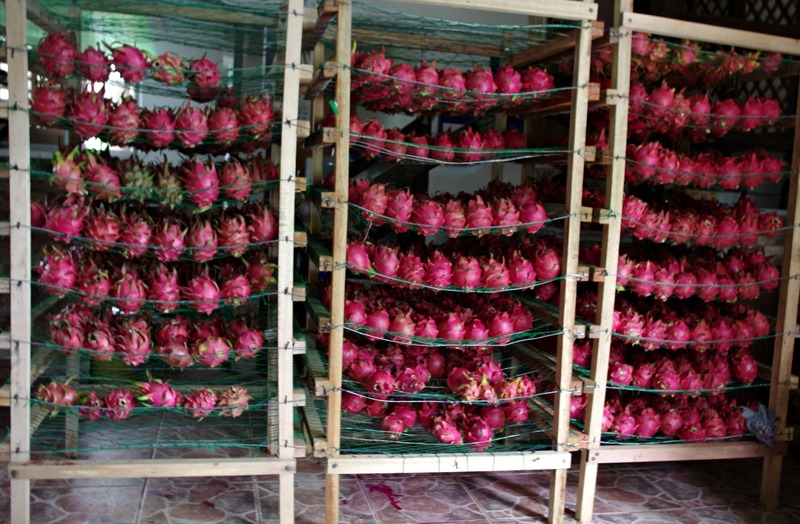 The farm has since been named Rare Eagles Forest Marine and Agricultural Development and is leading the way in making the Ilocos region the country's dragon fruit capital, while sharing the same technology with other interested farmers and organizations in Luzon and some parts of Visayas and Mindanao. For her achievements, Edita was named outstanding farmer-scientist in the Philippines and recognized as a female innovation leader in the field of agriculture during the Asia-Pacific Economic Cooperation (APEC) Women and Economy Summit in San Francisco, California in 2011. All of this, because of Kaye. Kaye and others like her take center stage this week, Sept. 16-22, which has been declared cerebral palsy awareness and protection week through Proclamation No. 588 signed in 2004 by then President Gloria Macapagal Arroyo. The Proclamation aims to instill public awareness about cerebral palsy and educate the public about the causes of this motor disability, how to detect it early and implement appropriate interventions if any. Cerebral palsy, according to a Cerebral Palsy Alliance (CPA) website, refers to a group of disorders that affect movement. For some, cerebral palsy may only be mild and cause only a slight disruption to a person's daily life but it can also be more severe, affecting the whole body and may significantly impact how a person participates in daily activities. Worldwide, the incidence of cerebral palsy is 1 in 500 births. For most people with cerebral palsy, the cause is unknown and there is no known cure. Cerebral palsy, except in its mildest forms, can be seen in the first 12 months of a baby. Doctors may suspect cerebral palsy if a baby have slow motor development. Kaye was eight months old when her family noticed she had a problem with her motor development. She could not walk and could hardly speak, and so they brought her for a medical check up in Manila where she was diagnosed with cerebral palsy. At young age, Kaye tried to mingle with ordinary students in a regular school in Pasuquin town but there were times her classmates were distracted whenever she had seizures. The family then decided to enrol her in a special education program in Baguio City. Later on, she got bored and the family decided to get her a private tutor while continuing her therapy at home. According to older sister Mimi, Kaye tried to walk with her steel shoes but was unable to balance her movement. "She is our luck because she binds us together. We never left her when she was child and let her know we love her so much," said Kaye's eldest sister Meg. "Nothing changes. We live normal lives. We simply need to be with her for her needs—she can't bath herself, can't eat or sit alone and can't go to bed by herself. To me, she's a very special person with disability. She has other blessings that a normal person doesn't have," Mimi said. Knowing cerebral is incurable, the Dacuycuy family hopes that in time people will see and accept Kaye for what she is—not as a person forever tied to a wooden wheel chair with an abdominal binder but a person trying to live a normal life. They also hope the government could provide equal opportunities to persons with disabilities like Kaye.